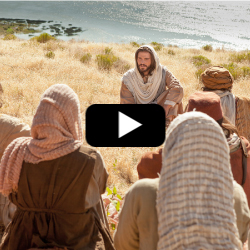 As Jesus continued teaching the Sermon on the Mount (after the Beatitudes), he taught many important teachings, as shown in this video about Jesus, that are more challenging to follow. For example, He taught that we should “Go the Extra Mile”, turn the other cheek, love your enemies and “good to them that hate you, and pray for them which despitefully use you, and persecute you”. So, back to going the extra mile. Going the extra mile can be applied in many different situations. For example, in our career, we can help others whether or not we receive financial remuneration. In public, we can pick up trash or hold the door open for someone. In our families, we can compliment someone or bite our tongue instead of saying something mean. There are many simple ways to go the extra mile that can make a big difference in the lives of someone; we can smile, say a kind word or help someone in need. Not only does this video/scripture talk about going the extra mile, there are other important teachings we must consider like turning the other cheek. That basically means that we shouldn’t seek revenge. That leads into the next one - “love your enemies” and “pray for them”. For many people, it is very challenging when someone is mean to you then try to turn right around and pray for them. When we follow the teachings of Jesus, God blesses us. We also have the Holy Spirit more in our lives, and our lives become richer.